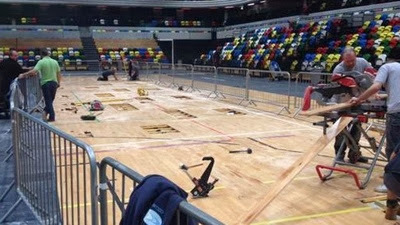 Netball and the Battle of London finals don't mix! For me, it was also a chance to meet up with some netball friends that I don't see that often and look out for other fellow netballers in the crowd! Unfortunately it wasn't to be - on either my social front or the more serious business of the Tri Series - and the change of venue and lack of a home crowd can't have helped England. Clearly they couldn't play on the damaged surface, but there's a lesson in there for the venue's management team (and no doubt publicity they could have done without!). Let's hope they learn from it.